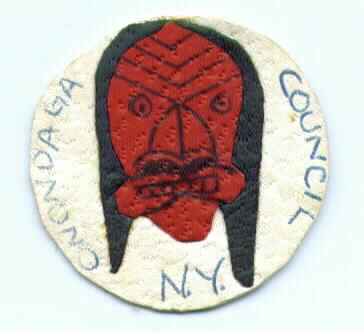 Another scan from Neale Cummings, this one the 1965 Area 2-G Conclave Patch. Neale advises there was also a neckerchief issued for the event, although neither of us has one. 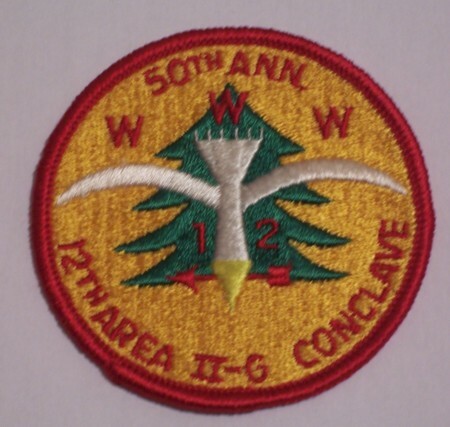 Two more images and some information from Neale Cummings on the 1966 Area 2-G Conclave. 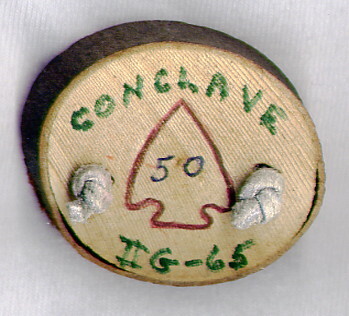 The conclave was held at Camp Woodland and hosted by Onondaga Lodge #516. 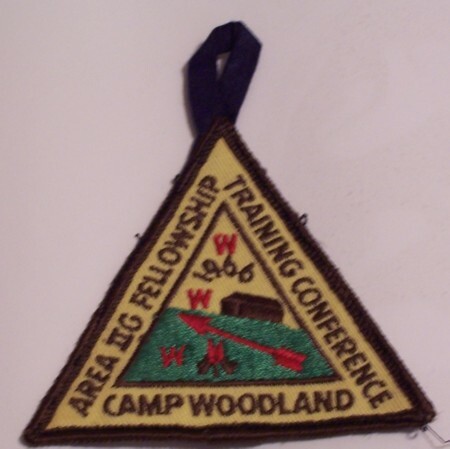 The patch and neckerchief referred to it as a training and fellowship conference. The Area Chief was Robert Gwinn. The pocket patch was a triangle. 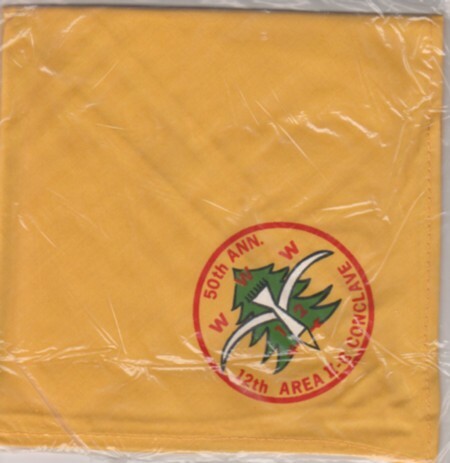 and the neckerchief had a similar design.